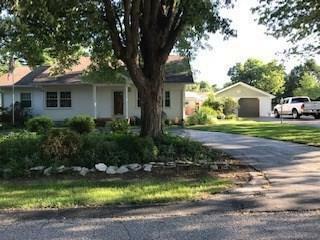 Well maintained home with over an acre! Great location just minutes from Greencastle and in an area of nice homes. 1,800 +- sq ft with a formal living room & separate family room with hardwood flooring & cathedral ceilings. Spacious master bedroom with a large walk-in closet that could easily be turned into a private bathroom. Private office that could be turned into a 3rd bedroom if needed. Asphalt drive leads the way to a 2 car garage, mini barn, storage shed, provide plenty of options for the vehicles & toys. Back deck overlooks a large back yard providing lots of room to run & play.